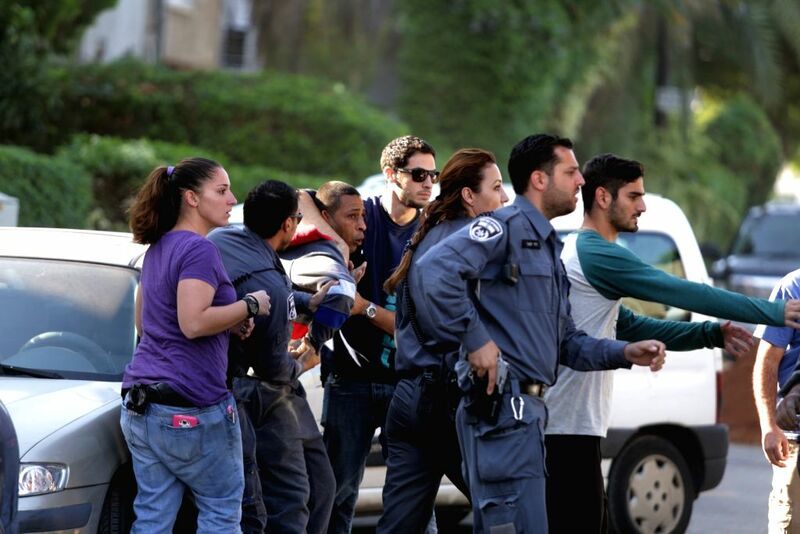 JERUSALEM, Nov. 19, 2015 - Israeli police apprehend a suspected man to check whether he has connections with a stabbing attack near the attack scene in Tel Aviv, Israel, on Nov. 19, 2015. 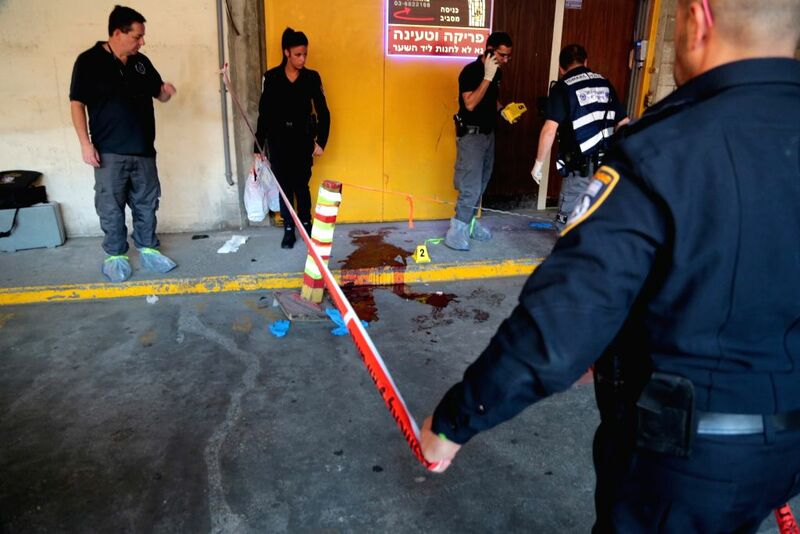 A knife-wielding Palestinian on a stabbing spree killed two Israeli men and injured another at a chapel on Tel Aviv's seafront on Thursday. Police identified the suspect as 24-year-old Palestinian from the West Bank Dura, a village in southwest of Hebron. His name was not immediately released, but Channel 2 TV news reported he had no previous record of involvement in acts of terror.